When I first started to read this article, I was confused to how it related to what we were talking about in class. But as I started to read more and dig deeper into the reading, it became very clear to me. I feel like this reading helped me a lot with starting to think about our next project. 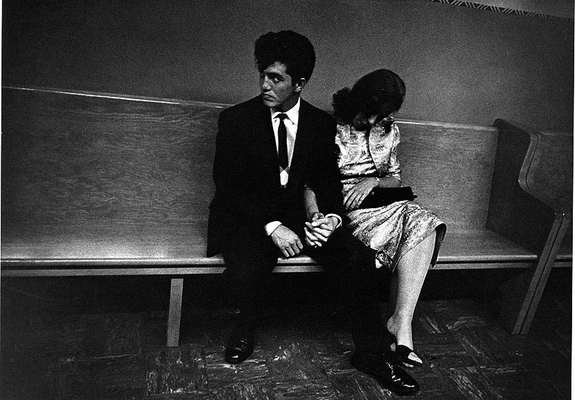 Robert Frank took on a very risky and large project. He wanted to look at America as a whole. He used his own perspective to create a sense of what Americans were like. Many people thought he took some disturbing photographs along the way. He used emotion to get his point across. He took images of people mourning at funerals, women alone, and many other hardships. He chose to take on a very difficult task. He captured many scenes that have never been seen before. He wanted people to look at his images like reading a poem. He wanted his images to be like that really well put together line in a poem that everyone wants to read more than once. I feel like his images defiantly had this characteristic. They were so intense that people wanted to know what they were all about. The reason why this helped me with my project so much is because it showed me that it is always good to take risks. Robert Frank took a very big subject, America, and wanted to capture everything about it and the hardships that people go through. He wanted to see the country as an outsider. I would like to take on this project as an outsider. I want to look at a specific problem our world is going through and really examine it through emotion. I want my images to have intense emotion to show the relationship between each image. I really would like to try and reveal a person who is having trouble through a series of photographs.